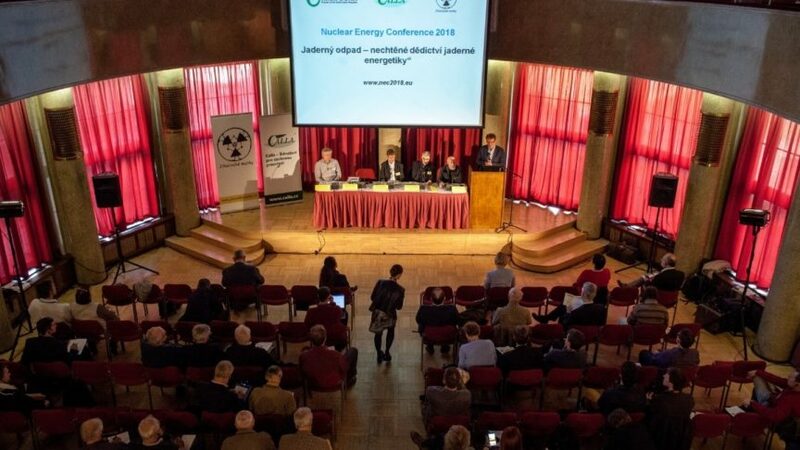 The international conference NEC 2018 “Nuclear waste: Unwanted legacy of nuclear power” was organised by Friends of the Earth CZ and Calla and took place in Prague on Wednesday 11/04/2018. The objective was to discuss, in the presence of international and Czech experts, the options of finding a solution to the nuclear waste problem without restricting citizens’ rights to defend their interests and those of future generations. NEC 2018 was loaded with information on management of spent nuclear waste and the problems of final disposal. 116 participants from 11 countries were then able to compare the new developments in the Germany, Sweden and other countries with the situation in the Czech Republic. The restart of the German repository project was described as was the background to the decision of the Swedish Environmental Court to say no to the Swedisk plans for a repository for spent nuclear fuel. The final disposal of spent fuel is also a very hot topic in the Czech Republic, as the decision on the selection of four most suitable sites for a repository out of the nine potential ones should be made this year. Brief presentations by participants from Eastern Europe completed the information at the end of the conference. Browse through the presentation, or you can contact the speakers. You can get a feel of the conference atmosphere in the photogallery. Many members of Nuclear Transparency Watch were there as speakers: Jan Haverkamp (energy and nuclear energy expert, Netherlands) Johan Swahn (director of MKG, Sweden), and Gabriele Mraz (Inrag, Austria), and contributed to the debate from the audience : Marcin Harembski (NGO Common Earth, Poland), Andrey Ozharovsky, Russian Nuclear Energy Expert.